Sometimes I feel that is I don’t think about it, then it isn’t real; it didn’t happen. Unfortunately, it is real and my Grandma, Corine, passed away unexpectedly last month. It wasn’t supposed to be her time yet, she was still healthy and had a lot of life in her. Now I will never see her again. She is gone. 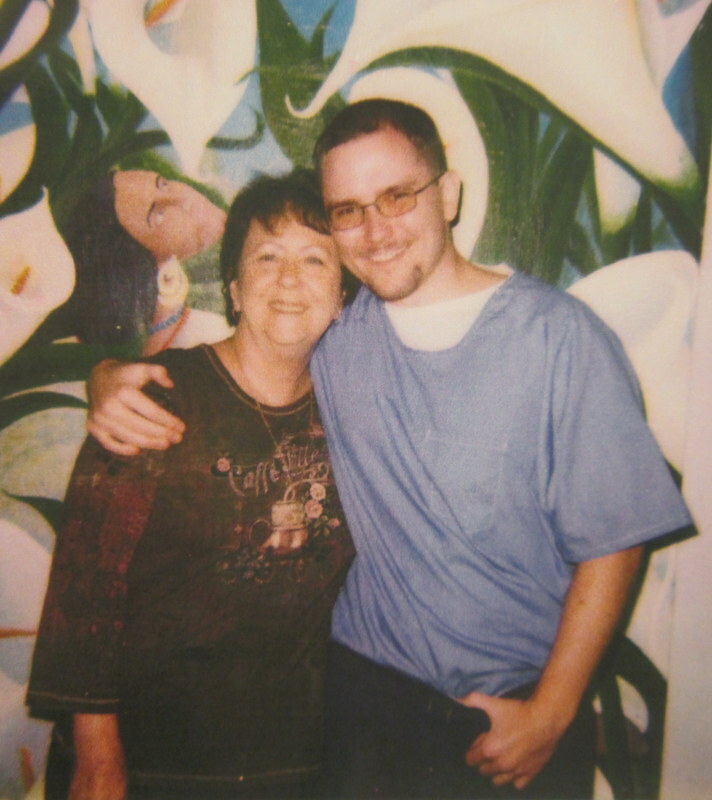 Having my Grandma pass away while I am in prison has been especially difficult on me. I never got to say goodbye to her. I never got to hold her hand one last time and tell her how much I loved her. I wasn’t allowed to attend her memorial service, so I missed out on that sense of closure. Thankfully I know Grandma knew how much I loved her and how much she meant to me. She was a wonderful grandmother and a very special person. I will always cherish the memories I am blessed to have of Grandma. She always gave me so much love and support, she always wanted to make sure I enjoyed life. When I was younger sometimes my mom would bring me to work with her, Grandma would tell me to bring along my fishing gear. Then she would come pick me up and take me to a small local lake where she would sit in the shade watching me fish. She knew my love for fishing and wanted to enjoy sharing that with me. When we would go down to the ocean at Dillon Beach, I would catch crabs as my late Grandpa Deacon had taught me. I would take the boat out into Tomalas Bay and catch crabs, then bring them back to Grandma to cook for everyone. She would often tease that the crabs would “scream” when you put them into the boiling water pot. She had a sense of humor like that and loved cooking the crabs. I know it was special to her. As an adult I now look back on the memories of this and wonder if it brought back fond memories of my Grandpa Deacon for her. I am sure that it had to, but unfortunately I will never get to ask her. I remember going over to Grandma’s on holidays. All the family members were coming and going and Grandma was at the center loving that everyone was there with her. I remember all the delicious food spread out, us kids searching for eggs in the backyard at Easter, the biggest row of red stockings at Christmas. I was always amazed by the stockings, there would be so many of them! And they always had some walnuts in them. I would enjoy cracking the shells open to get the nut inside. Now it hurts knowing I will never get to see Grandma again. She will never see me fishing or be there to cook the crabs I will catch one day when I am free. We will never have the row of red stockings at her house on Christmas. It hurts to know that she passed away while I am still wrongfully imprisoned. We lost 12 years that could have been used to create new memories together. It is not fair that we lost those years, it is not fair that she won’t be there to see me rightfully set free. She really deserved to see me come home as a free man. Grandma knew that I am innocent, she was always there with her endless love and support. I could always count on her. Now I will always feel her loss, but I will hold onto the good memories I have of her. This has been the most difficult post to write so far, the loss is still very fresh for me. It is painful knowing that she is gone and I will never get to see her again. I miss my Grandma. This entry was posted in wrongful conviction and tagged family, grief, loss. Bookmark the permalink. She knew how much you loved her Sean and knows that you are innocent. She will be dancing in Heaven when you are set free. Grandma loved you very much and 100% supported you. She knew how very much you loved her. The last thing she wanted to know was that you knew where she was, all she cared about was her children and grandchildren.